The famous boxer in a metallic wall decoration ! Add some punch to your interior decor with this designer metal frame. The dimensions of this metal decoration are 50 x 70 cm. The delivery is completely free in France and Belgium for this wall decoration Muhammed Ali. The man who has no imagination does not have wings ... 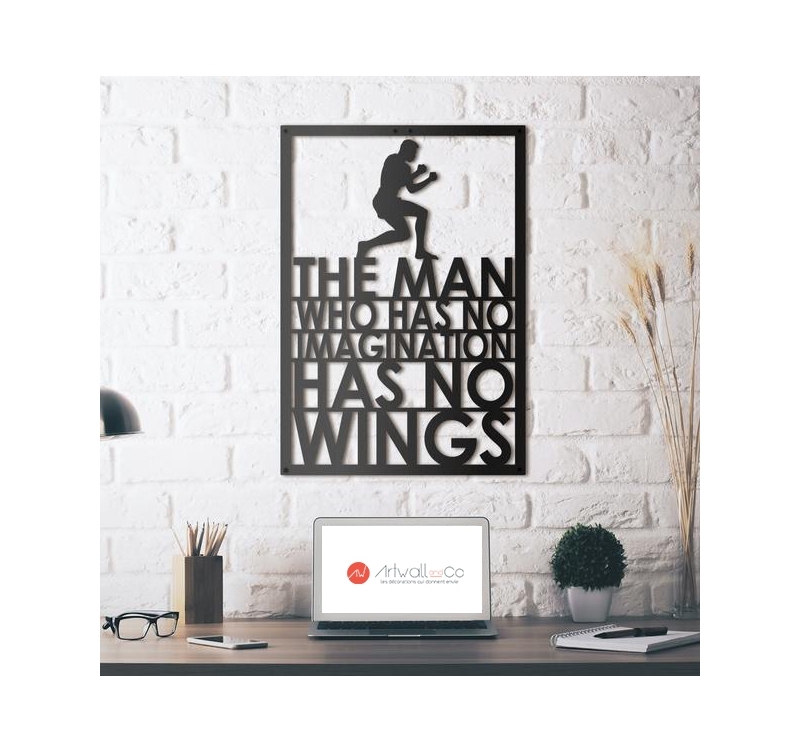 This table format in metal wall decoration features the famous boxer Muhammed Ali with one of these quotes. Recognizable by his fighting stance, the boxer is at the top of this mythical phrase that will give you inspiration and motivation in your everyday life. Ideal for a contemporary office or living room, this metal wall deco format will bring an original touch and design to any of your rooms. The installation of this metal sculpture is very simple thanks to our installation system Artwall and Co.This design wall decoration is delivered in its protective box for a safe delivery. This Muhammad Ali metal wall decoration is hand made, treated and finished in black for a longer life.